This year we have tried to mellow things out for the Sunday (with one or two exceptions). This performer is definitely in the mellow end of the musical spectrum. Find him in the barn on Sunday afternoon. Joe is the creator of coloured sound, combining his love of music and art to create a platform for himself and others to showcase their creative talents. After discovering the hand pan Joe now travels around the world playing music for yoga and meditation practices, teaching others how to be creators and spreading positive vibrations. Offering therapy sessions in Swedish/Deep Tissue massage; Indian Head Massage; Reflexology and Facial Rejuvenatio. Maggie is also providing and introductory workshop in Indian Head Massage which was very popular last year: An Introduction to Indian Head Massage. Come and learn the ancient healing art of Indian Champissage. On this workshop you will learn some basic massage techniques, working on the shoulders, neck and scalp, areas where we hold a lot of tension. You will have the opportunity to give and receive this wonderful, relaxing treatment. Earthall® Healing and Meditation are gentle, safe, powerful therapies that works positively for you. 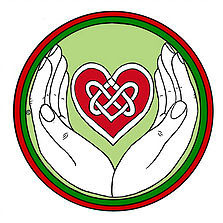 Earthall® Energy Healing channels natural loving energy through the Healer into the recipient. 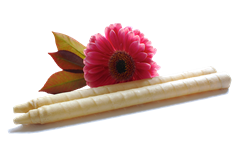 It can help to revitalize the soul and balance the mind, emotions and body. It can create harmony, improve your well-being and bring balance into your life. Earthall® Meditation, is a way to access your own unique internal Healing power. My name is Hayley and i have created Holistic haven to provide a place where alternative therapies become personal tools to help people thrive in today’s modern world. I have been reading tarot cards for over 25 years and together we bringing clarity and direction to those who are looking for answers. As a reiki practitioner i combine shamanic energy to each treatment to help relieve pain, unblock chakra’s, help heal stress and much more. I also provide shamanic drumming guided meditation, taking people on an inner journey where answers are hidden and power is to be discovered!